BRYAN EATON/Staff photo. 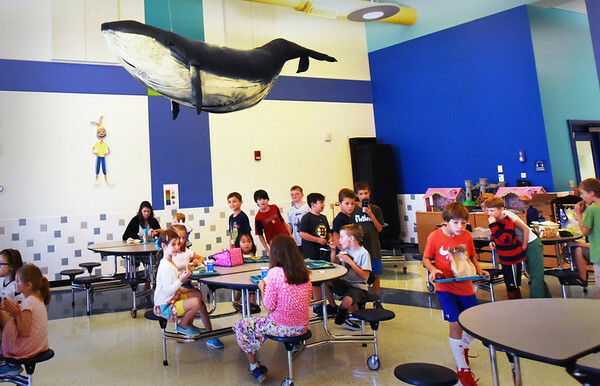 A model of a humpback whale hangs over the cafeteria at the Bresnahan School, a gift from Emily Tallman Masiello, husband Christopher and children Lucas and Tyler, feeling it would be appropriate for Newburyort's nautical history. Art teacher Pam Standley Jamison held a contest to make a picture of and name the whale, with Avery Tierney coming up with the winning name, Anchor.